Here at Freezenet, we like to sit down and enjoy the odd game here and there. Some games we’ve tried are great. Some of them are simply passable. Some games we lived to regret even playing. 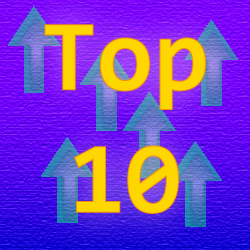 This is a list of the top ten games we reviewed in 2013 and 2014 that scored the lowest. On Freezenet, to date, we’ve reviewed 185 games. Now, as one can imagine, there is bound to be a few games that were not only below average, but also completely horrendous. For these games, playing them can seem more of an act of torture than a moment of entertainment. Some games that made the list were a surprise while others were pretty obvious choices. We hope this list may help you avoid some serious pain if you decide to go back and give games you’ve never played a try. Believe me, each one of these games I wished I got that amount of time back for my life. This game show game was released in 1988 and is based off of an actual TV game show in the 80’s by the same name. You would no doubt recognize the host of this TV show as Alex Trebek of Jeopardy fame. The game itself is based off of an intriguing concept of matching prizes behind numbered tiles using almost nothing but memory. To make things much more interesting, there is a picture underneath that is supposed to represent some sort of catch phrase as you uncover each tile. Solve the puzzle before your opponent and you win. Sounds like fun, right? Well, the game show didn’t exactly transition well to this DOS version. The graphics were low quality – not something you want when the game itself hinges on clear visuals. Ore’s looked like bowling pins and other small graphics were hard to make out all together. To add to the pain, a simple typo on solving the puzzle can cost you an entire round. The sounds were also bare minimum with simple beeps on a system that is capable of much more. While you get the basic concept of the game, this poor interpretation just made the process an unnecessarily painful process. 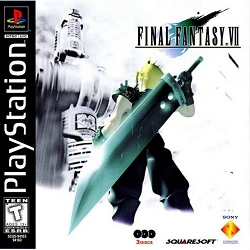 This game rose to critical acclaim and followed up one of the best games I’ve ever played (Final Fantasy III for SNES players and Final Fantasy VI for PSX gamers). When it comes to top great games, many add this to the list of the best games ever created. In fact, one of the main selling features was that it came in a massive 3 disc release that you had to swap out as you progressed through the game. Naturally, I wanted to give this a try in the hopes that I was in for a great gaming experience. Now, imagine how stunned I was at just how horrible I found this game to be. For me, this game was so bad, it acted as a major deterrent for me trying more modern games because if this was considered a blockbuster game, I could only imagine just how awful the average game would be. The storyline was confused. The so-called “open” nature was a linear path half the time. The characters were flat. Worst of all, the battle sequences were long and drawn out due to excessively long and repetitive animations that you end up having to sit through over and over and over again. The only reason I made it to the 3rd disc of content was because I was desperate to find what was so great about the game and ended up just dragging out the pure pain. Considering how great the previous game was, I couldn’t even begin to figure out what even happened that produced this. Don’t get me wrong, I thoroughly enjoy RPG games, but this was not an enjoyable experience by any stretch of the imagination for me. When certain game series transitioned into the 3D world, some games completely flopped. This, sadly, was one of those flops. While the NES version was a passable game, you’d think the increase in power of a next generation console would allow developers to improve on the game. Not so. This game was supposed to be based on a well known 90s movie, but having played this game, I was left with the impression that some of the developers hadn’t even seen the movie in the first place. You are supposed to collect various valuables around the house and lock them away in a giant vault in the basement before the more than 2 criminals steal them. Armed with a watergun (which was something that didn’t actually happen in the movie), you are to jump over various obstacles and defeat several bosses at the end of each level as you secure each wing. With moments that range from frustrating to “what were the developers thinking when they put that in?”, this game was an absolute bomb. Probably one of the most successful puzzle games ever made in the 80’s was Tetris. Simple block turning, line completing Tetris. Simple concept, hugely addicting. In fact, it sparked countless remakes and clones throughout the years to this very day. 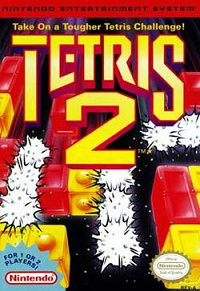 With the huge success of Tetris on the NES and Gameboy, you can imagine how much anticipation there was when Tetris 2 was announced and ultimately released some time after. Well, when people refer to great classic video games, it’s unlikely Tetris 2 is ever mentioned. The fact that it was so horrible may be why. The confused color matching found in this game as you clear out mines bore only passing resemblance to the original Tetris. While the game was a rather simple one, it didn’t necessarily translate into fun. I found this game to grow old quickly. It’s boring nature means it’s best left in the dusty past. The N64. For some, this was probably the greatest console of all time. Packing hugely fun titles that really lit up the gaming community in the lat 90s. I personally feel spoiled growing up with this console just because there were so many great games released on this system. Sadly, even this console is not immune to truly terrible games. 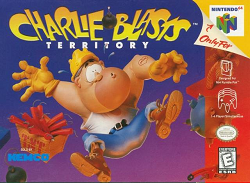 Charlie Blast’s territory is certainly one of those games. This puzzle game simply has a character named Charlie Blast. He is to form explosive chain reactions that removes all of the explosives in the entire playing field. That’s, well, pretty much it. With passwords that weirdly use playing cards and really bad graphics for a system capable of so much more, this game quickly becomes a repetitive and uninteresting even with a gradual increase in difficulty. There’s plenty of great puzzle games on this system, but this just isn’t one of them. 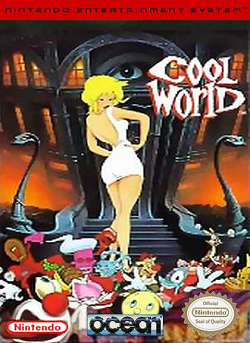 You might not have heard of this, but Cool World is a movie based on an incredibly interesting concept of a cartoonists drawings coming to life and gradually taking over reality. Some are good characters, some are bad. With some villains coming to life, you bravely take your fountain pen and fight the evil cartoons both in the real world and the cartoon world. It’s a concept that can easily tickle a writers fancy. In fact, the trailer showed a lot of promise. The movie came out and it turned out to be a complete bomb. The video game itself? Cool premise, but absolutely terrible execution. The game is all around confusing, the difficulty curve is weird, the objectives are unclear, and the overall gaming experience will leave you reaching for the power button. It’s a bad game made worse by the fact that the original concept sounded amazing. Go kart racing was an extremely popular concept on the N64. With Diddy Kong racing and Mario Kart 64 quickly spiraling up to huge success, it seemed that Disney wanted a piece of the action. Enter Mickey’s Speedway USA. A game that was more clearly a blatant ripoff of other successful games than an interesting take on some great concepts. It offers nothing that is inspiring. With graphics that make the game seem more cluttered than action packed and poorly programmed sound effects (and hey, Pete even sounds more like Duff Man), this game just fails on every level. I spent more time finding ways of criticizing the poor design choices made in this game than finding things that were interesting. This game, for me, belongs on the “games to avoid” list. Good old Atari 2600. Even acknowledging technological constraints aren’t enough to save some of it’s games from lists of “worst games ever”. While I haven’t seen this game make an appearance on many lists, I personally found this game to be truly deserving of a slot on this list. You may ask yourself how hard it could possibly be to mess up a pinball game on a console. Well, it almost takes talent to mess up pinball this badly. 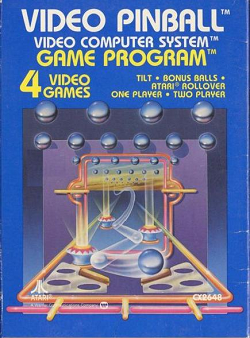 Up until now, I’ve never seen a video game version of pinball where the table is, well, square. 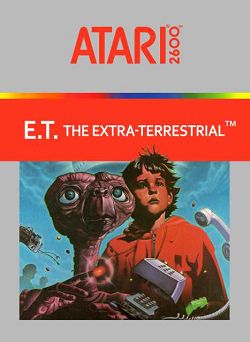 Graphically speaking, I know what the Atari 2600 is capable of and this falls well short of that. Simply put, this game was just plain bad. One of the few sport related games we’ve ever reviewed here, this game choice was likely a mistake for us when we tried to ease our way into the genre of sports. The graphics were so bad, it made this game almost completely unplayable. I had a hard time figuring out which was I was aiming the ball and what other graphics were there, it was, at best, bare minimum. I ended up quitting very early on just because I quickly became frustrated with this. It would also be one of the few games that scored below 20%. It’s hard to expect this game being anywhere other than number one in worst video games ever made by most standards. 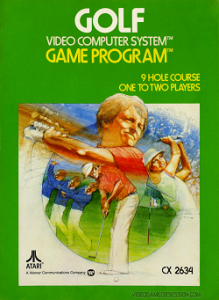 This game was so bad, it almost single-handedly crashed the game industry in the early 80’s (there were other factors, but many point the finger at this game as the biggest culprit). Millions of unsold copies were sent to a landfill in Mexico. Some stories out of this included the one where the programmers had mere weeks to code and create this game (nowhere near enough time to get a good game out the door). Now, I knew this going into this game, but I approached this with an open mind and treated this with the same methods of evaluation like I do any other game. With a confused interface, severely glitchy gameplay, an almost complete lack of depth, and abysmal graphics, this train wreck of a game seriously deserves all the criticism it has received over the years. For some, this is the undisputed king of horrible games. For 2013 and 2014, I can’t honestly disagree with that sentiment and this game truly is the worst game we’ve reviewed up until now. This game was almost seemingly created for the sole purpose of punishing the player. With the same track played over and over again on every level we’ve encountered mixed with the exact same floor design from the previous game, this game becomes even more painful for those who’ve played the first version of this game. For those who hadn’t played the first version, the puzzles were not exactly designed with you in mind as they seemed to be more or less more difficult than the first game. So, your lack of experience will likely make this game quite painful sooner rather than later. This game will irritate you to no in one way or another. While the initial concept of simply directing an uncontrolled character to victory sounds intriguing, the execution on this game left a lot to be desired. A game that has very little resemblance to the original Pac Man, this game simply became an exercise in frustration more than an exercise in innovation. The only thing that really kept this game off of the actual list of bad games was the decent quality of graphics. Not to be confused with 1943 – The Battle for Midway, 1942 is a top down shooter that seemingly predated the more successful title. The music consists of white noise and random beeps. The graphics left a lot to be desired. It was as if this game was made for much more restrictive hardware, but when it was ported over to the NES, developers simply opted not to insert any improvements for this game. As a result, this game was just plain bad. Yes, there was a Tetris 2 for the SNES. A lot of the same principles applied from the original NES version. The good news was that the SNES was, in fact, an improvement over the NES version. The bad news as that the improvements were only enough to relegate this game to an honorable mention in worst game’s we’ve reviewed, almost pushing it off of this page completely. Puzzle gamers, retro gamers, and casual gamers alike should still avoid this game if they want an idea of what good gaming was like in this era. We hope you enjoyed this list! Join us tomorrow when we reveal the top 10 best games we’ve reviewed in 2013/2014!